Sometimes, the ins and outs of daily life take their toll on our teeth. As frustrating and painful as this can be, the story does not have to end there. Today’s restorative dentistry, using modern ceramic materials, can provide strong, beautiful restorations to repair teeth that are experiencing woes, and replace teeth that have gone missing. With our advanced digital imaging technology, the whole process is quick and painless. Sometimes a tooth has suffered a large amount of damage to the enamel or has cracked. But, if the tooth is not dead (yes, teeth can die), the patient may want to keep their natural tooth. We want patients to be able to keep their natural teeth as well, so we are able to offer crowns to these patients. A crown is a custom made piece that fits over the (remaining) natural tooth and prevents further damage to an injured or decayed tooth. A crown is a significant restoration, but it allows a natural tooth to remain and can often be made in tooth colored ceramic materials so that it blends in beautifully with the other teeth. For patients who desire a strong, durable material when cosmetic concerns are less important, it is also possible to make crowns from metal. Our office will work to make your crown comfortable for long term health and beauty, and try to make the process of getting the crown as low stress as we can manage. If you have a badly damaged or decayed tooth, don’t wait too long. Call for a check as soon as possible so you have the best restoration options available to you. Dental Bridges fill a gap in the mouth caused by the loss of a tooth or teeth. The teeth on either side of the opening are covered with crowns, and the open space is filled by a tooth shaped crown or crowns to replace the missing teeth. The bridge is cemented in place permanently, which keeps the teeth on either side of the missing teeth from shifting toward that space. A bridge can be a valuable tool to maintain a healthy bite when small gaps in your mouth could put it at risk. After a bridge has been affixed, it is important to brush and floss carefully around the bridge to ensure the health of the teeth to which the bridge has been anchored. Regular checkups with our office will also help keep the teeth healthy and let us catch any possible problems early when they are still easier to treat. Like dental bridges, dentures and partials fill gaps in the smile created by missing teeth. Dentures are a replacement for most or all of your natural teeth, whereas a partial replace a few teeth to become an integrated part of your smile. Unlike bridges, dentures and partials are removable. If you have significant tooth loss, call us to discuss your options for a full or partial denture, and allow yourself to enjoy smiling and eating normally again, and living with life without worrying about your teeth. If you are a candidate for dental implants, we highly recommend securing your smile and jawbone with implant-supported dentures. We can refer you to a trusted specialist for implant placement, and we can fit you with a beautifully secured set of dentures that look, feel, and function just like natural teeth. 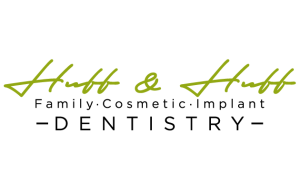 An implant is a tooth restoration permanently attached to the jaw, usually with a medical grade screw, that is covered with a tooth colored and shaped restoration. Unlike a bridge, an implant closes a gap in the smile without needing to put crowns on healthy teeth. If you are a candidate for dental implants, we can refer you to a trusted dental implant specialist in Edmonds for surgical placement. 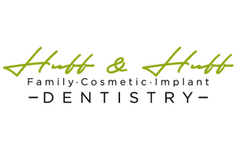 If you already have implants and are in need of new replacement teeth to finish the job, we are happy to fit your implant post with a new restoration. Dental implants leave your mouth beautiful while preventing damage to your other teeth caused by shifting into the opening left by a tooth that has been extracted by a dentist or a tooth that has been knocked out. Implant restoration options include crowns, bridges, and implant supported dentures that are permanently secured to look, feel and function just like natural teeth.